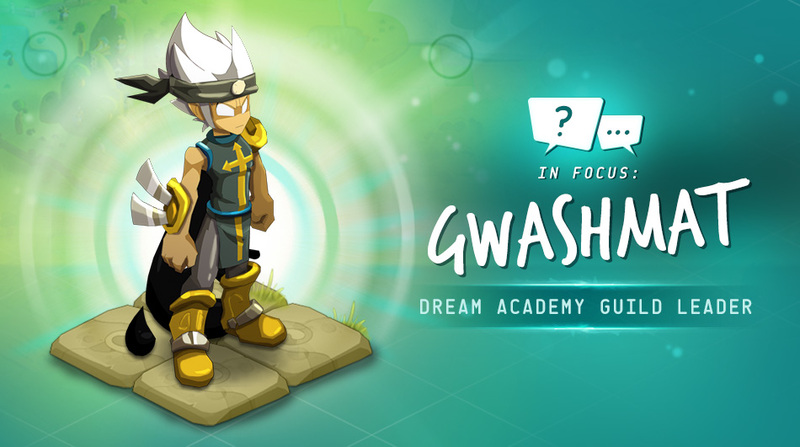 Spotlight: Gwashmat, Dream Academy Leader - Info - News - DOFUS Touch, a colossal MMO at your fingertips! 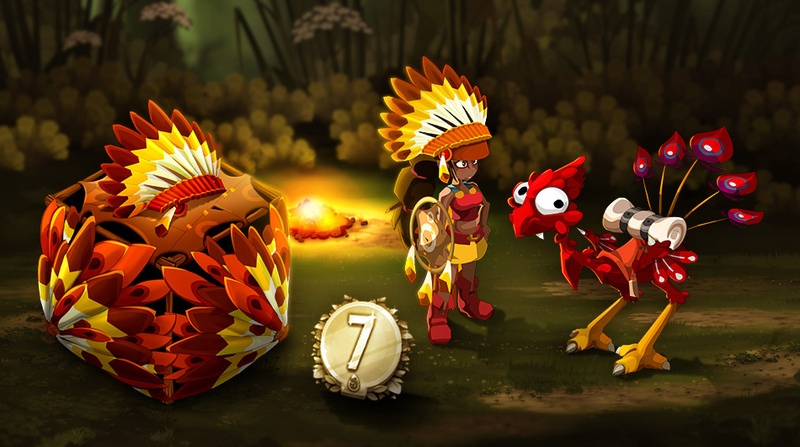 Did you play DOFUS before jumping into the DOFUS Touch adventure? If so, which server and which class(es)? 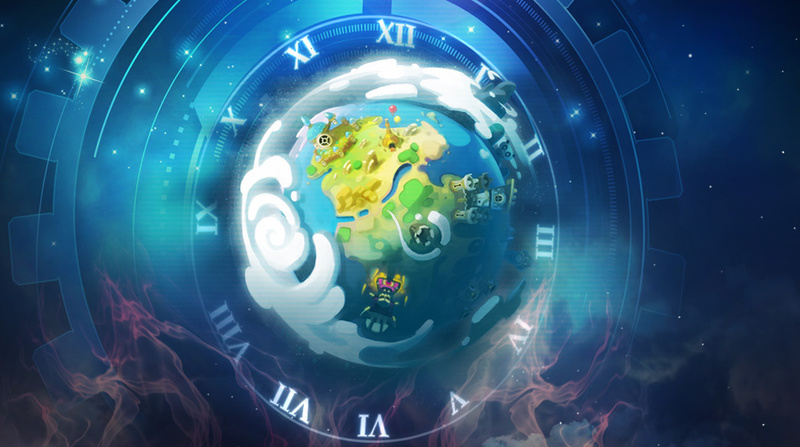 What drew you to DOFUS Touch? Tell us a little about your guild! What's your role in it? How did you work together to create the headgear stats? How many people participated? Why did you go with those stats? If you had to add another piece of equipment to the game, what would it be? 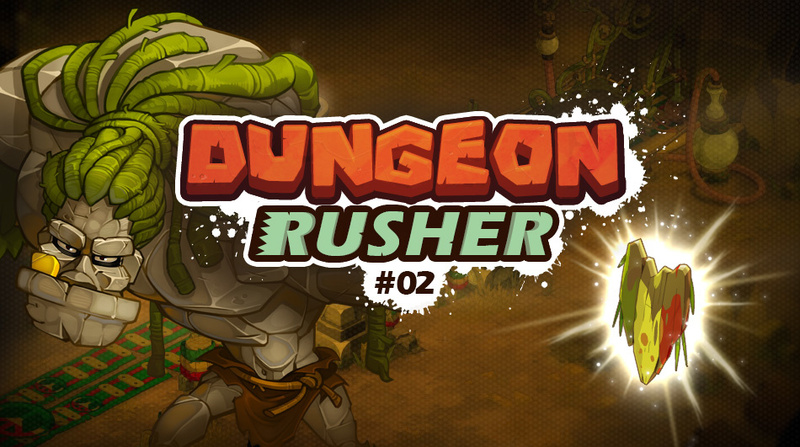 Yes, I played DOFUS before moving to DOFUS Touch! I've played pretty much all of the classes in the game, but Xelor was my main class. My main server was Djaul, where my brother and I were in the "Bourrins du Mont Paradis" guild in the "La Main Verte" alliance. We notably won Goultarminator with our level-200 Xelor, Radamantis. After that fun time, I created another character – an Eniripsa by the name of Gwashmat. Right now, I'm playing a level-200 Iop on Terra Cogita. 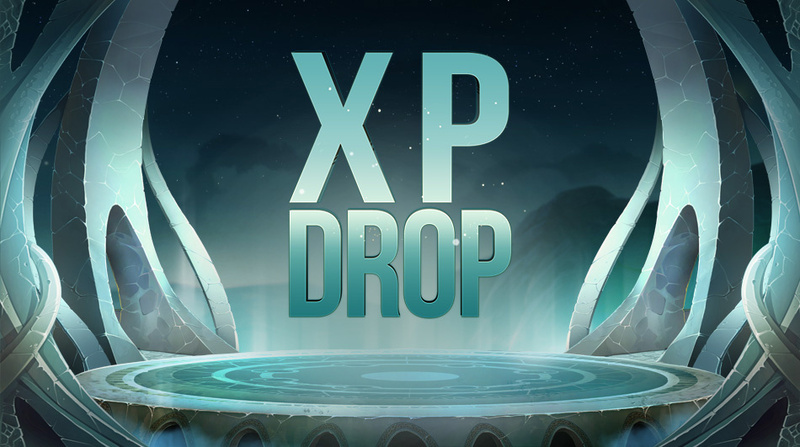 What attracted me to DOFUS Touch was, first, the promotion of single accounts, which you no longer necessarily find in DOFUS. In my opinion, this fosters a more viable economy in Touch. The bigger community in Touch was also a pull. Last, the fact that the game doesn't necessarily need a subscription and is accessible everywhere because you can bring it with you on your telephone or tablet was the finishing touch that convinced me to move to Touch! I created the "Dream Academy" on May 28, 2018, on Terra Cogita. I'm the guild leader, and the first members I met – Ryuujin-Jakka (Sram) and Juicy-sailor (Foggernaut) – are now (and have been since the beginning) my trusted seconds and right-hand men in the guild. Our treasurer is Holity, and he's currently playing a Sadida. We met IG at about level 100, and are all now at level 200. The guild is now level 72, and has 48 members, but we had to start over from scratch after a theft (right after creating the headgear stats for the contest!). Discord is big with us; we use it especially to organize recruitment and our activities. We are part of the KAMI alliance, and we're currently recruiting level 160 and up. If anyone's interested! To create the headgear, we gave ourselves a maximum of one week. The first night, we brainstormed with anyone who wanted to participate. The whole guild had a chance to share their ideas for designing the headgear. The second night, we took the best ideas and fine-tuned them to create the headgear you have now. We used the other nights of the week to make the final adjustments to the stats. After we won, the headgear was added to the game in last December's update and named The Dorado. Creating the headgear was an all-volunteer effort. Everyone in Dream Academy – about thirty people – contributed. We went with these stats because, after looking closely at the level-200 headgear available in the game, none of them provided Chance and Earth stats. Plus, headgear with stats like these goes very well with the Ourobubble Set. There aren't many MP items other than boots, and this cape would go very well with the headgear. Love to all my guild, and my thanks to the Dream Academy and everyone who took part in creating the headgear. Thanks to everyone for their constant support, too! A big thank you for the KAMI alliance, who for me will always be the alliance with whom I've had the best time! And shout outs to Zwinkie, Socolat, Legendary-Yogotenks, Kusui, Crimson-arrow, Money-Fury, Cae-lienne, Arch-ey, and Vulbys who absolutely had to be mentioned in this spotlight (sorry if I've forgotten anyone! ).